Photography Workshops, Emma Holt BA(Hons): Capture the mystery & Contrast. 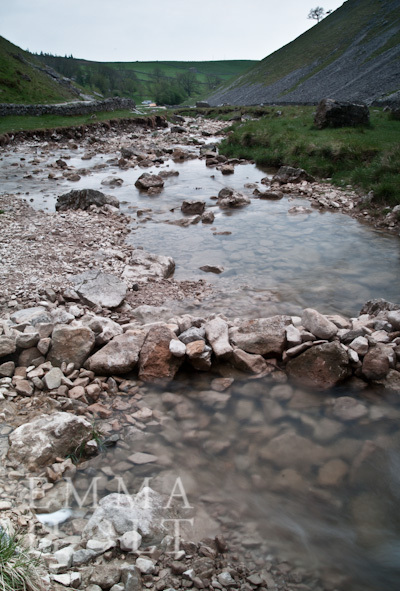 Malham Yorkshire. Capture the mystery & Contrast. Malham Yorkshire. Capture the mystery & Contrast, Malham. Yorkshire. Date; 9th April 2017. 1 day workshop. Workshop Leader; Emma Holt BA(Hons). Time; 10.30am - 3.00pm. (packed lunch- please bring a packed lunch with you). Meeting point; Car Park, by the information centre. BD23 4DA. The Workshop begins in Malham village, where a short walk leads you through a magical, hidden woods. It really looks and feels like a secret garden with its overgrown plants, array of flowers and wildlife. 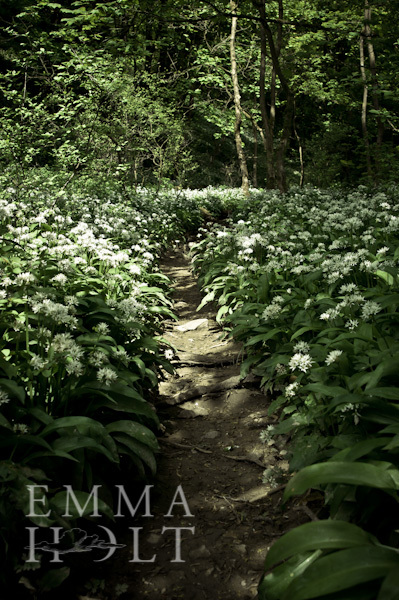 The smell of the Wild Garlic hits you as soon as you enter the woods and the river that runs through it, is home to various twisted and fallen trees, branches and logs. 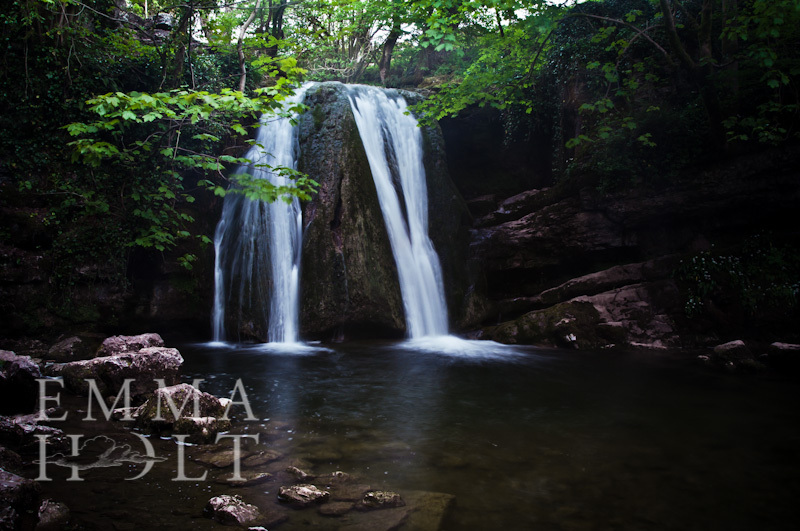 A tiny path leads right up to a stunning waterfall, aptly named ;Janet's Foss (after a fairy queen). It really is a gorgeous little place...perfect for some creative photography! If you are patient you may see the beautiful fluttering wagtail by the waterfall,( I have been lucky enough to capture it! ) It actually looks like a scene from a Disney film. After a picnic Lunch, we will make our way towards the rather breathtaking 'Gordale Scar'. A complete contrast to the hidden woods. The rugged backdrop is a climbers and Photographers dream! The dramatic Gorge, is home to some stunning rock formation, simply perfect for a photographing texture and form. The view to the Gorge, is brilliant and so worth the walk to 'Gardale Scar'. Get creative! Experiment with composition, texture and contrast. Enjoy the amazing surroundings! Although some walking is involved,its worth it!! The location is simply wonderful! There is a wonderful little refreshment van, selling tea/coffee/ cakes etc... this is positioned on route to 'Gardale Scar' We may stop here on the way back! Included; Group Tuition with Emma Holt. Excluded; The cost of Lunch and any refreshments you may require. Please ensure you bring a packed lunch with you. Travel to and from the Location. (Malam). *There is some walking involved during the workshop, level; Medium, this includes a very small section of the path which requires you to walk up/down a rocky area/ rough underfoot. This gives you access to 'Gordale Scar' Therefore the need to wear suitable footwear is particularly important. Please inform at time of booking if you may have any mobility issues. *There are quite a lot of insects present in the woods...I would suggest perhaps wearing/ bringing an insect repellent. 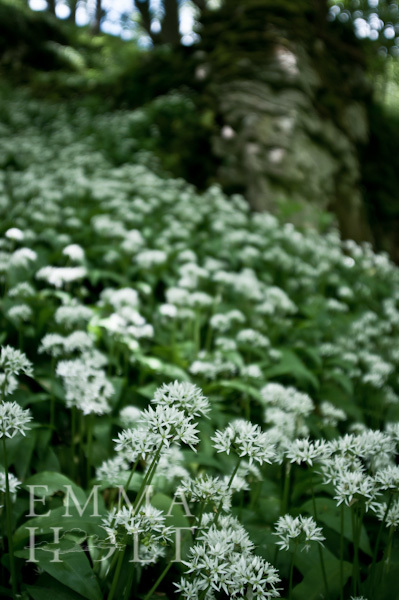 *There is quite a strong smell of Wild Garlic as you enter/walk through the woods, please bear this in mind when you book on this particular workshop. When booking, please advise on your Camera/ Kit and level of photographic/ Camera knowledge you have. A £25.00 deposit, is required on booking.Balances must be paid at least two weeks before the Workshop or in some cases on the day of the Workshop. Every effort is made to ensure a Workshop goes ahead. If the Workshop has to be cancelled due to bad weather/ illness, an alternative date will be rescheduled or individuals may also use any balance paid towards an alternative Workshop or 1-1 Photography tuition.